Skincare is quite literally my favorite thing to discuss. My friends know that about me, so I always thrown out knowledge about various skin products and skin ailments. There's a certain mystery to finding the best products and skincare regimen to getting that beautiful, healthy and glowing skin. I definitely get a thrill trying to find the best routine, and recently I got a PCA Skin chemical peel at ZL Tucson. Laura's team did a fabulous peel for me, but my skin got so dry. 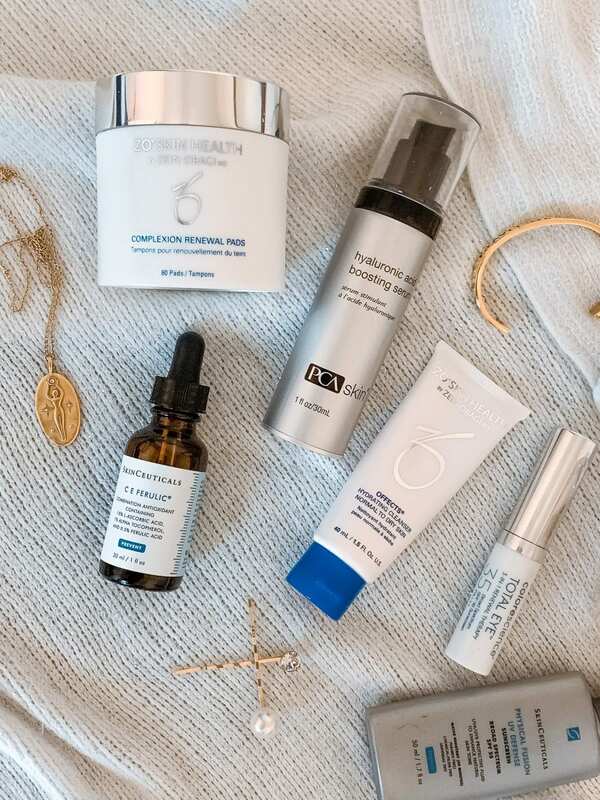 Since my skin was peeling, I mentioned I needed some more hydrating products so Laura put together the perfect regimen which has made a huge difference in the hydration of my skin. After getting this chemical peel from PCA Skin, I realized my skin was super dry and Laura identified that I had some eczema around my mouth. This is why she said I needed this ZO Skin Health Hydrating Cleanser because it's got a lot of hydration in the formula. It's more of a cream consistency, so it helps hydrate while it gently cleanses the skin. Often times, there's a lot of cleansers that make your skin squeaky clean, but in that process they are also drying out the skin which is exactly what you don't want, especially after a chemical peel. I truly believe finding a cleanser that is hydrating, but also doesn't leave a greasy residue, is one of the hardest formulations. ZO Skin Health killed it with this one. 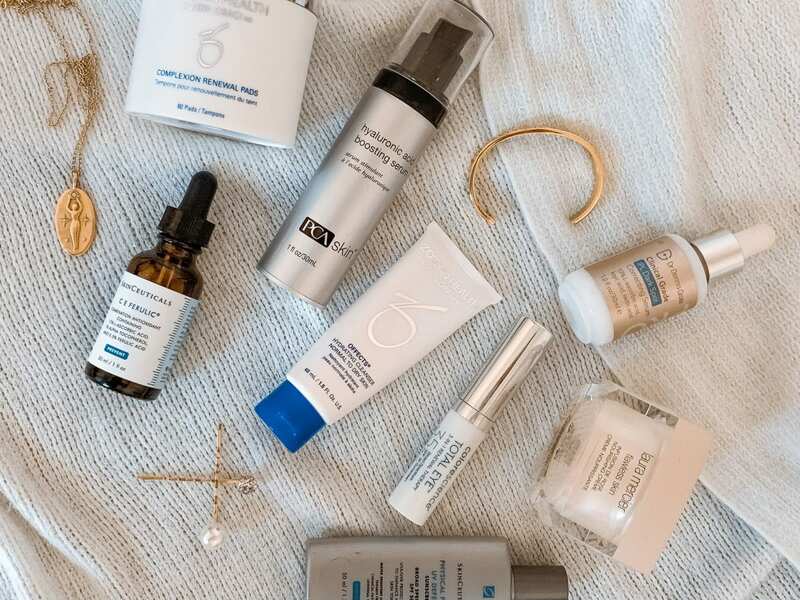 We all know Skinceuticals is killing it in the skincare game, but this treatment is the perfect morning skincare addition because it helps prevent damage to the skin throughout the day. Think of this product as your daily defense against pollutants in the air and the dirt and grime that gets on your skin throughout the day. Not to mention it delivers anti-aging results that you see right away. One thing I've always loved about Skinceuticals is that their products are paraben free. I also like these are medical grade professional products, but they aren't too abrasive. This treatment is very gentle and really helps to kickstart the day for your skin. I use about 4-5 drops each morning after I've cleansed my skin. Every morning I dab a little bit of this product under my eyes. It's a lightweight sunscreen with a slight tint to it, making it the perfect under eye protection throughout the day. This formulation has a lot of wonderful antioxidants and hyaluronic acid so it's benefitting while it's also making signs of aging, dark circles, puffiness, sun damage and dryness, disappear. It's the perfect cover-up and protector for that sensitive area. Sunscreen is one of the most important products of all, and I cannot stress it enough. For some reason people think it's okay to go outside (even for 15 minutes) without sunscreen on. Trust me, it's not worth it. Sun damage is hard to revert back, so do the right thing for your long-term skin health and don't go outside with sunscreen. ESPECIALLY in a state like Arizona. I just look outside the window and I'm sunburned. Can you imagine actually going outside... WITHOUT sunscreen? Once I pop the sunscreen on, I do my usual makeup routine OR if I'm going casual I throw on a bit of BB or CC cream. This routine works for the day time and works to protect my skin from toxins. For my night time routine, I started by using a makeup removing wipe. At the moment, I am testing out several makeup wipes so I can give you the conscious on which is the most gentle (but still effective) wipe. It's a lot harder to find a solid one, than I thought! Once I've gotten off as much makeup as humanely possible, I then go in with the hydrating cleanser mentioned above. Using this morning and night really helps to seal in moisture without stripping it away so easily. I love taking one of these complexion pads and running it all over the face in circular motions. One of these pads goes a long way, and I tend to use it until the pad is almost dry. You can also run this pad down the neck (don't forget your neck with all of these products, since most of us neglect our necks.) This pad helps with a multitude of things, but it certainly provides a secondary makeup removing wipe to some degree. Not to mention it exfoliates that dead skin off the face, reduces oiliness and calms irritation on the skin. Once I've done the renewal pad, my skin is ready for an amazing serum. I love this one from Dr Dennis Gross called the IPL Dark Spot Correcting Serum. It's got a lot of fantastic ingredients including abscorbic acid (vitamin C) and really helps to minimize those scars and dark spots on the skin. This serum also helps with fine lines and wrinkles as well as skin dullness and dryness. This is one of those products that makes your skin look incredible overnight. The ingredients really come together to revive the skin and get your glow. When it comes to hydration, a hyaluronic acid is usually the best bet. This can be used day OR night, but I like to leave the serious hydration for the evening time. I also don't want to add too much to my face that isn't 100% necessary, especially if I'm wearing makeup. 5 layers under a foundation may start to look a bit odd, especially if you don't let each layer dry (which you don't always have time for that!) This is a very lightweight, very moisturizing serum that will ensure your skin doesn't feel super dry. It's got the right amount of hydration which helps to prevent those fine lines and wrinkles. Many people don't know this but dry skin is a quick way to those fine lines and wrinkles. You don't want your skin to feel tight, so hyaluronic acid is a great weapon to avoid dryness and ultimately keep your skin looking more youthful, longer. This is one product I added in myself, and is not on Laura's recommendations for the routine. I love this moisturizing creme so much I just had to include it. While there's other moisturizing face creams, I find that this rose one from Laura Mercier doesn't burn or cause irritation like a lot of the others do. Even if it's a moisturizing creme, some ingredients in the others causes my skin to burn or feel like the moisture is really irritating it. I prefer not to have that nasty bite from a moisturizer, so this is the one I have been opting for lately. Makes sense since rose is usually so gentle. It's not a professional grade product, but it is very hydrating and soothes my skin. That's it, my entire skincare routine AFTER a chemical peel, which by the way isn't as scary as it sounds. Chemical peels have their place in the cosmetic space, but they need to be done right, and you really have to take care of your skin AFTER the peel. Have you had a chemical peel? 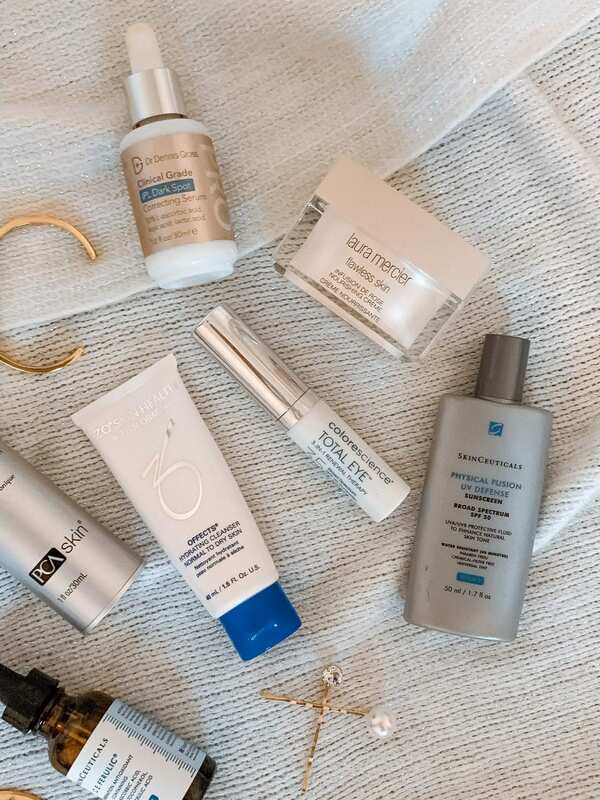 What're your holy grail skincare products?